WHEN: Wednesday, 16 October 2013 Continental breakfast served at 8.30 a.m. Shotgun start at 10.00 a.m. Awards ceremony at 2.30 p.m.
WHY: FODAC’s Annual Charity Golf Classic is one of the organization’s main fundraisers; the event supports FODAC’s main program which supplies HME to the disabled community, many of whom have little or no insurance. FODAC’s programs help fill a vital gap for many who find themselves without the resources to address a serious permanent or temporary injury. By supplying equipment, such as wheelchairs, powerchairs, walkers or Hoyer lifts, FODAC provides relief to those with mobility impairments and gives them the ability to lead more independent and fulfilling lives. Registration and full details for the event, along with information on available sponsorship packages, can be found at www.fodac.org/golf/. Local media are invited to attend this event and schedule on-site interviews with Chris Brand, president of FODAC. Chris can discuss how FODAC’s programs help those with mobility impairments and their caregivers engage more fully in the community. If you or a member of your team is interested in covering this event and scheduling an interview, please contact Lizbeth Dison, Shiny PR, ldison@shinycomm.com or 678.372.8164. About FODAC Friends of Disabled Adults and Children (FODAC) helps the disabled of all ages regain their mobility, independence and quality of life. The non-profit organization provides more than $10 million annually in refurbished home medical equipment (HME) and home modifications in Georgia and across the United States, all at little or no cost to the recipients. 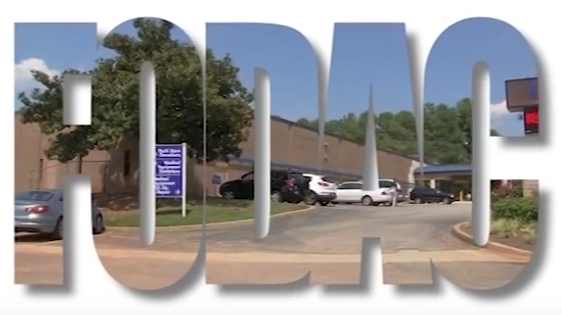 A pioneer in re-use, FODAC keeps 200 tons of materials out of landfills each year by refurbishing and reissuing over 400 HME items every month, and is recognized nationally for best practices. For more information, visit www.fodac.org.